Aretha Franklin, the Bee Gees, Bette Midler and Norah Jones are just a handful of the iconic artists produced by 12 time Grammy Award-winning producer/arranger Arif Mardin. 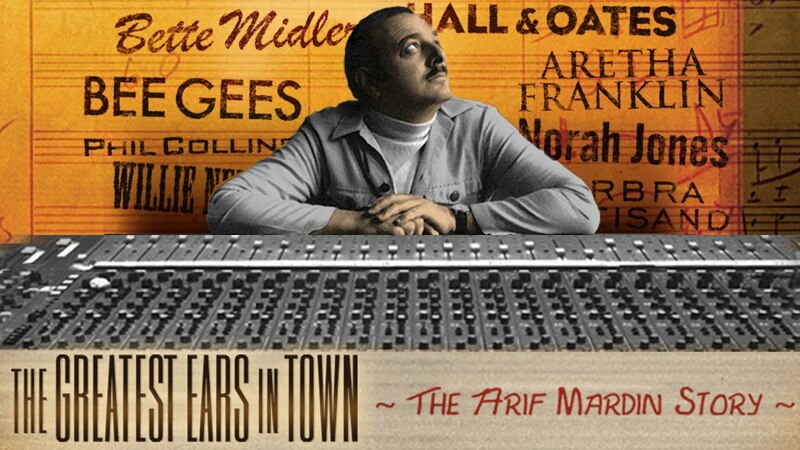 The Grammy nominated film, The Greatest Ears In Town: The Arif Mardin Story, chronicles the life and career of the man who produced more than 50 gold and platinum records with sales topping 50 million units. The film chronicles Mardin’s incredible life from his childhood in Turkey to record industry fame through rare footage, photos and chart-topping music. Featuring interviews with music luminaries including Quincy Jones, Sir George Martin, Carly Simon, Phil Collins and Norah Jones and others, this is a must-see documentary for any music lover.